Originally posted on the website of UVA's Frank Batten School of Leadership and Public Policy. A Senior Research Fellow at Batten’s Pay for Success Innovation Lab is drawing national attention to solutions for financing affordable housing. 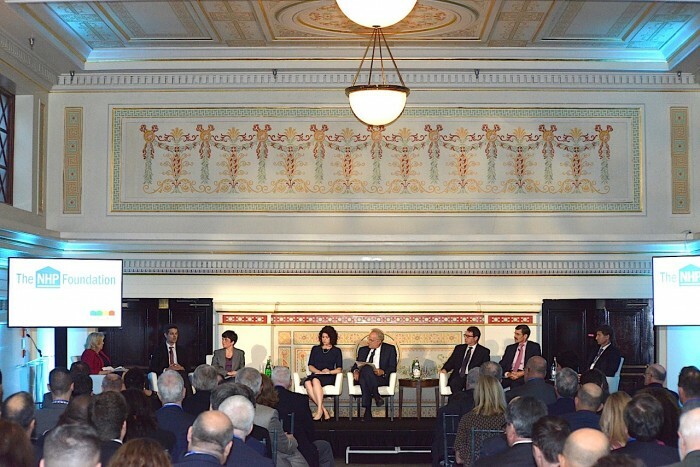 Stefano Rumi, a Jefferson Scholar and Echols Scholar who is minoring in Social Entrepreneurship, told 300 housing experts and others at a Washington, D.C. symposium that Pay for Success contracts stimulate innovative approaches to finance new construction. Rumi, who is in the distinguished majors Bachelor of Arts program in Sociology, spoke at a meeting of the National Housing Partnership Foundation, which teamed up with Batten to produce the report. Rumi’s presentation preceded a panel discussion among experts on “Affordable Housing: Shaping The Future Today,” placing Rumi’s consequential findings squarely in the heart of policymakers’ debates about solutions to the national housing crisis. The panel’s moderator was the veteran real estate writer Michele Lerner. 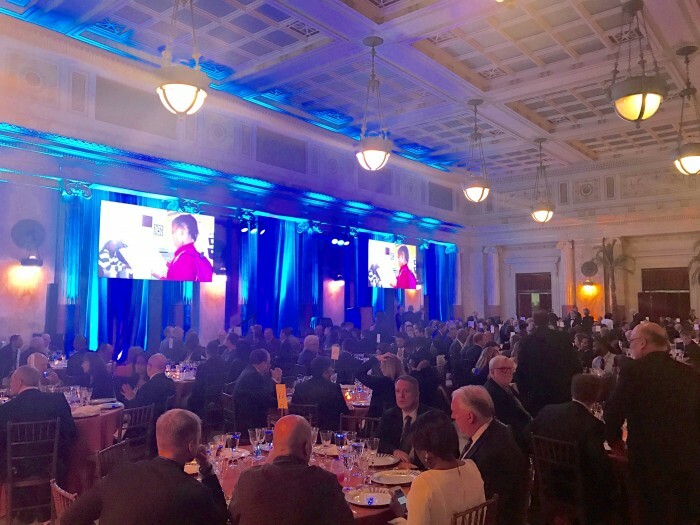 Held at historic Union Station, the meeting also served as the inaugural fundraising dinner for the National Housing Partnership Foundation, whose mission is to provide quality, affordable, rental housing and resident services for low- and moderate-income families and seniors. Two leading U.S. Senators—Orrin Hatch (R- Utah) and Maria Cantwell (D-Washington)—received inaugural Trailblazer Awards as proponents of national affordable housing policy through expansion of the Low Income Housing Tax Credit (LIHTC). “They are among the biggest proponents of affordable housing in Washington,” Rumi said of the two senators. A leading advocate of Rumi’s work is the president and CEO of The NHP Foundation, Richard Burns, who wrote an opinion essay on Pay for Success, including Rumi’s findings, last month for The Hill. Pay for Success gets funding from philanthropies, non-profit organizations, and others to begin projects. The government then reimburses the funding groups after the project is completed—and judged to be successful. Part of Rumi’s feasibility study included research from Charlotteville’s Thomas Jefferson Area Coalition for the Homeless, which calculated the average cost of homelessness per person on the local government. Rumi concluded that local governments would save money if they provided adequate housing. “It makes more sense for governments to provide quality affordable housing for homeless individuals and families than to continue paying for social services that are incurred because of homelessness,” Rumi wrote, noting that a homeless individual in Charlottesville costs the city about $22,000 per year. “The $22,000 annual cost to the city government of a single homeless individual demonstrates the incredible price communities pay to keep people on the streets,” Rumi wrote, citing a 2012 study by the area’s Coalition for the Homeless. “These numbers are higher in cities like New York, where the average cost of sheltering a single homeless adult in 2014 was $28,609; the figure is $37,047 for families. “These numbers do not include the costs of social services provided to address issues stemming from homelessness, such as arrests for vagrancy and hospital visits for exposure to the elements,” he wrote. Rumi, who is from the Los Angeles area, is self-effacing in describing his work as a “large and unwieldy report.” But his rigorous and thorough document presents case studies of clear successes of Pay for Success efforts in a several counties, cities and states: Cuyahoga County in Ohio (outside of Cleveland) and Santa Clara County in California (outside of Los Angeles); Salt Lake City and Denver; and Massachusetts. In addition, another advocacy organization, the Corporation for Supportive Housing, has begun studying Richmond as a possible Pay for Success site, and it also is conducting feasibility studies in Clark County, Nevada (outside of Las Vegas), Philadelphia, and Oklahoma. The Denver effort, described in detail in Rumi’s report, will build 210 newly- constructed single-site homes and 40 refurbished rental units scattered across the city. The project shows “‘promising’ early results,” according to an article in the Denver Post. Financing included $2.7 million in Low Income Housing Tax Credits and $3.2 million in gap financing provided by the City of Denver and State of Colorado. Rumi said advocates for affordable housing hope to use the report to influence the U.S. Department of Housing and Urban Development. “In addition to bring light to this issue, we’re really looking to get the federal government to look at Pay for Success very seriously. Rumi, Burns of the National Housing Partnership Foundation, and others also see the value in connecting affordable housing with health services for homeless individuals and others. Dr. Ben Carson, Secretary of the U.S. Department of Housing and Urban Development, discusses the crisis of homelessness in this opinion published in USA Today. While at UVA, Rumi has also applied his entreprenurial interests to an undergraduate sustainability initiative, teaming up with other students to develop a state-of-the-art hydroponics system.